Excuses separate you from achieving goals. They are used when there is a lack of confidence or perseverance to accomplish a goal. Excuses are easily pulled from thin air and become habit. They accomplish the exact opposite effects from what is desired, and are made when there is a lack of energy focused on a successful outcome. It's just this one time. I've been so good...I deserve this. All this work and I've only lost a pound. While these excuses include facts, believing in them weakens you and derails your ultimate weight loss goal. Excuses are never about the food item, they relate to a lack of control, or a feeling. While excuses are easy to make, it is often hard to live with the consequences. The consequence is unhappiness, a decline in self-worth, and a lack of belief in your abilities. We lose sight of our potential and make more excuses for things that we believe we cannot or will not do for ourselves. In time, excuses mount and goals are never reached. At times, others make excuses for you in an effort to sway your resolve and entice you to eat right along-side them, but you are the commander of your actions. You live in your body and you are responsible for your health. Rather than allow others to entice you to a take step backward or give up on your goals altogether, it's up to you to make decisions that propel you forward. 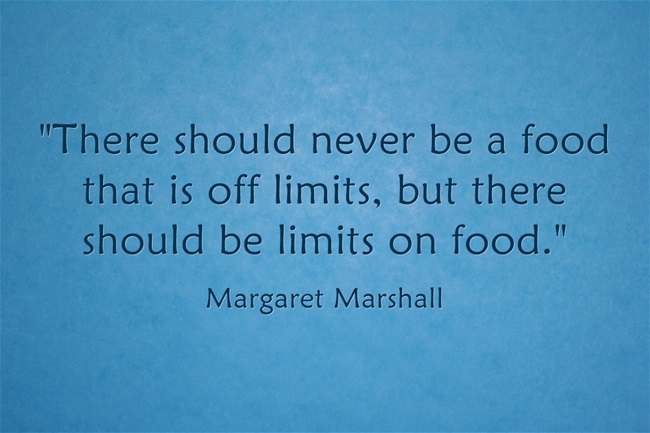 There is no food that is off limits, but there should be limits on food, so there is never a reason to make an excuse that derails weight loss efforts and jeopardizes self-worth. Have a plan in place to counteract an excuse. Practice new constructive habits that are in line with your goals, and that give you strength to disregard any excuse. Recognize each time an excuse appears in your thoughts. When you silence excuses and side-step those made by others, your confidence and self-esteem will flourish. You'll find a sense of internal happiness as you continue to move closer to your goals. 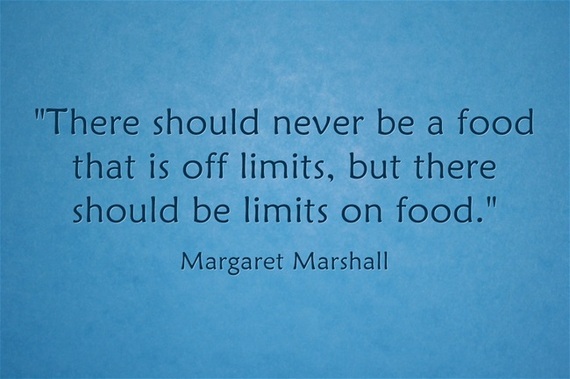 Margaret Marshall is The Healthy Living Expert. She is the creator of the "Five-Finger Food Guide", and the author of "Body, Mind, & Mouth" and, "Healthy Living Means Living Healthy". She is a media personality, and an international speaker presenting wellness programs at corporate functions, higher learning institutions, women's organizations, medical facilities, and cruise ships.